No sailor has ever won five OK Dinghy World titles. 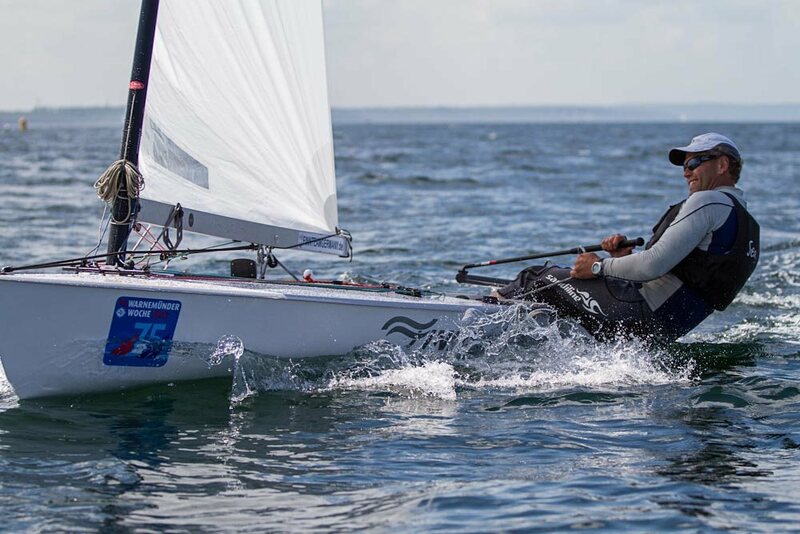 Three sailors have won four titles and two of them called it a day after that. 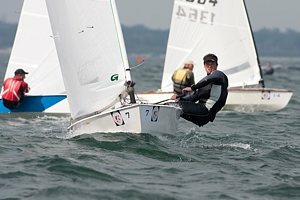 The third sailor in question is the current World Champion Nick Craig (GBR) and he is about to try for a record fifth title at the 2012 OK Dinghy World Championship, which starts in Vallensbæk, near Copenhagen, in Denmark next week. But it won't be easy. This will be the hardest world championship to win in the history of the class. Being the 50th world championship, the class decided to make it an open event. 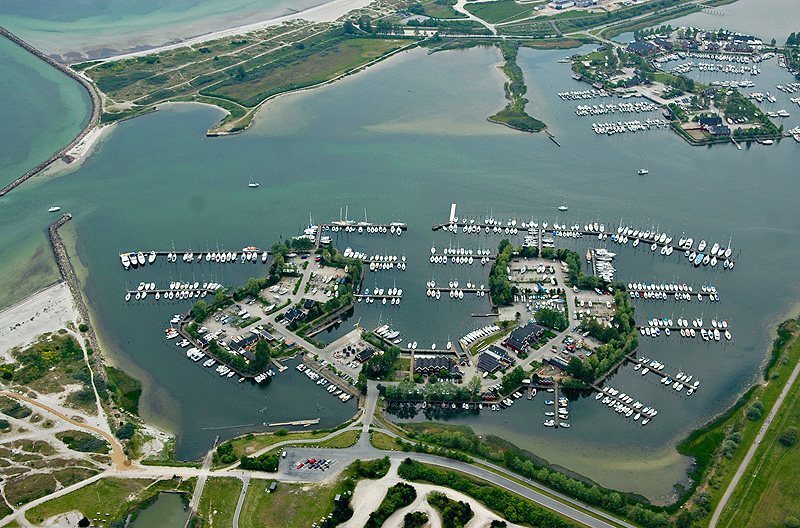 Usually the entry is limited to around 80 boats, but this year the event has attracted more than 150 pre-entries, including an interesting mix of old and new faces. While Craig is undoubtedly one of the favourites, there is a long list of notable sailors from within the class as well as newcomers willing to have a crack at the title. The current world number one is Greg Wilcox (NZL), the 2002 World Champion. Despite threatening to retire several years ago he is still bringing home some great results and is expected to be near the top. Jørgen Lindhardtsen (DEN) won the OK Worlds in 1978 before a successful Finn career. 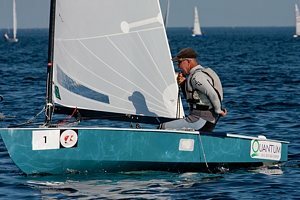 He has been back in the OK Dinghy since 1993 and even at the age of 67 is still showing sailors 40 years his junior how to sail an OK, having won races at several major event this year already. 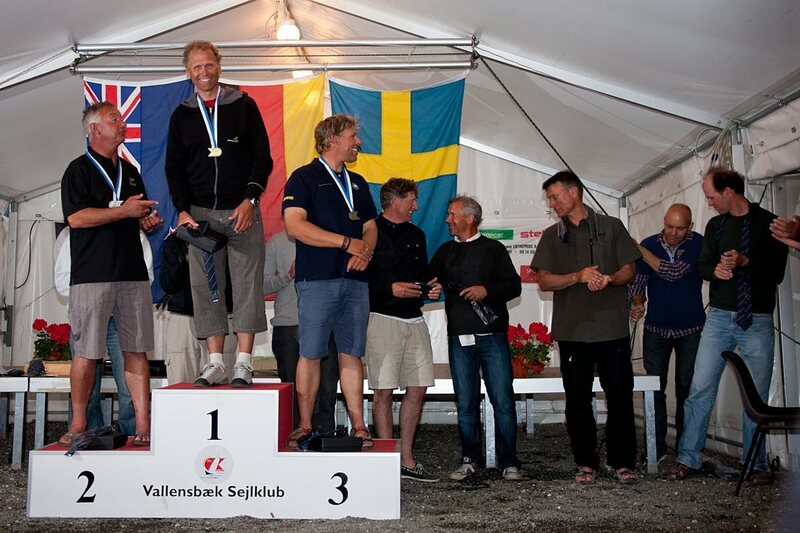 Another former OK Dinghy World Champion making a comeback of sorts is Mats Caap (SWE). Caap won the title in 1987, at a time when Swedish sailors demoralised the rest of the OK community, filling nine out of the top 10 places. The other sailor in the top 10 that year was Wilcox. And then there is Roger Blasse (AUS) the 1998 World Champion, back in a new boat, and always a threat. Together with Mark Jackson (AUS), he has been putting in a lot of time in the boat before heading to Denmark. The 2009 World Champion Thomas Hansson-Mild (SWE) will be looking to put right his mistake last year when he virtually threw away the title after finding himself too far from the start line when the final race was started. 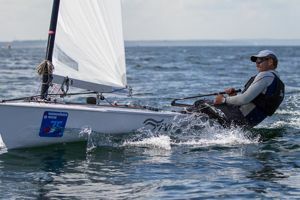 He ended up third, just behind Craig and past European Champion Martin von Zimmerman (GER), who sailed his best worlds ever in the light winds of Largs last year. The current European Champion Bartosz Rakocy (POL) is also improving all the time and will be looking to improve on a fifth place at last year's championship. And then there are the unknowns. 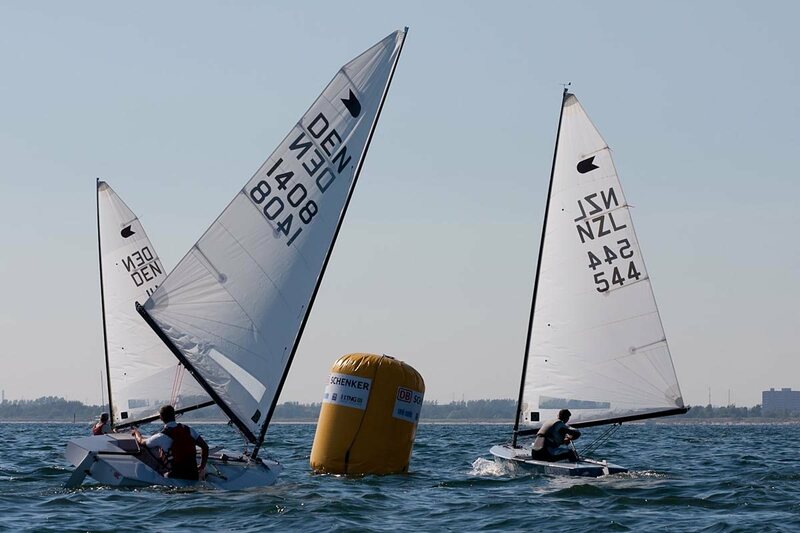 It is the first time in the class for André Budzien (GER) and Björn Allansson (SWE), both successful Finn sailors trying their hand in the OK Dinghy. Budzien of course is the three times Finn World Masters Champion and seasoned campaigner, and has just won Warnemunde Week in a fleet of 60 boats where Craig could only manage third. 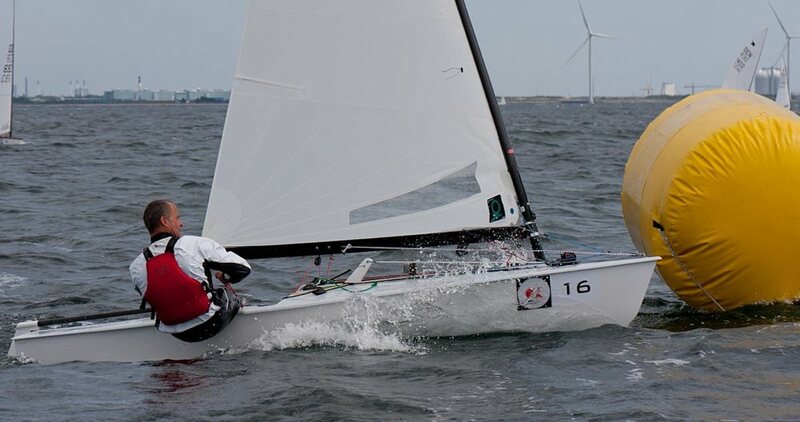 Allansson, meanwhile, just missed out on selection for the 2012 Olympics in the Finn but is now focused on 2016. Both could pose a serious challenge for the OK World title. At the Pre-Worlds in Hvidovre this weekend, Allansson showed some form with two race wins to end up fifth overall. The top four were all within three points of each other with Svendsen winning from Hansson-Mild, Stefan Myralf (DEN) and Craig. And the rest? Well there are lots of other sailors capable of winning races and making their mark. 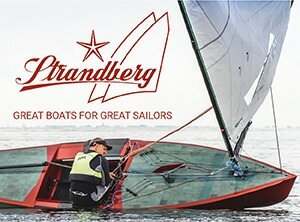 It is going to be the most interesting and competitive OK Dinghy World Championship for a long time. 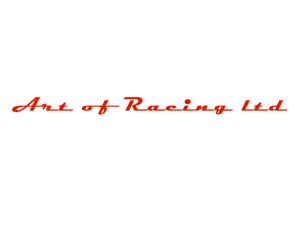 After measurement and registration from July 21-23, the racing gets under way on July 24 with 10 races scheduled until July 28. All 150 participants will carry tracking devices allowing everyone with internet access to follow the races live or via playback. The event will be extensively covered by still and video photographers, and there will also be daily reports distributed. 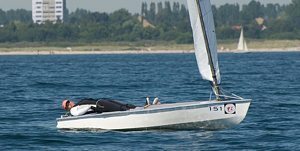 During the week there will be some special guests turning up and more inductees into the OKDIA Hall of Fame to celebrate 50 years of the OK Dinghy World Championship. The 50th OK Dinghy World Championship has been officially opened at Vallensbæk Sailing Club in Denmark in near perfect conditions. Earlier Robert Deaves (GBR) won the practice race from 146 entries, making it the largest OK Dinghy World Championship of all time. 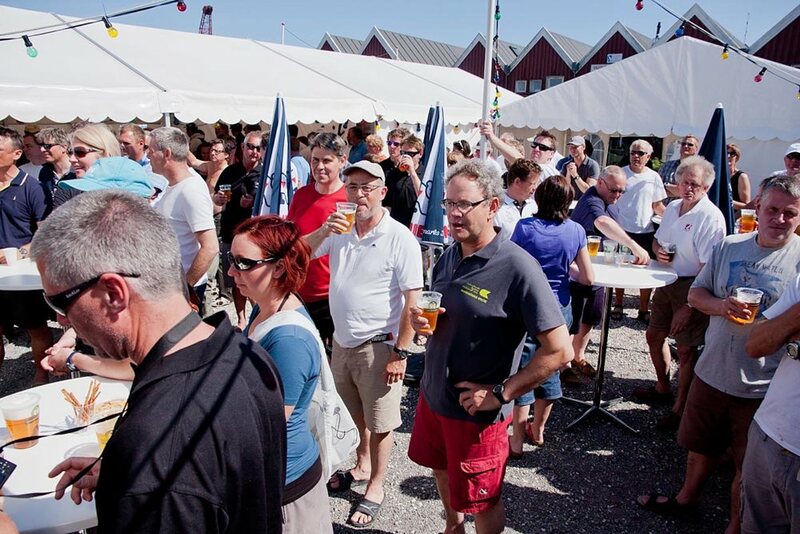 In a reception hosted by the Municipality of Vallensbæk, the championship was opened by the Mayor, Mr Henrik Rasussen, with welcome speeches from Jakob Nybroe of the organising committee, Anja Olsen, Commodore of Vallensbæk Saiing Club, Christian Hedlund, President of the Danish OK Dinghy Association, and Andre Blasse, President of the OK Dinghy International Association. 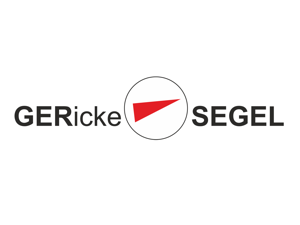 The practice race for the Sven Lehn Memorial Trophy was sailed earlier in hot and sunny conditions with some nice waves and 15-16 knots. As expected, there were several general recalls, and it took three attempts to get the race away, the final one under black flag with four boats pulled out. The current played a crucial role with those on the right crossing clear ahead. Bo Teglers (DEN) rounded first from Robert Deaves (GBR). Teglers held his lead down the reaches with Björn Allansson (SWE) closing up round the leeward mark. At the second top mark, Deaves just led from Allansson and Teglers, but then Allansson played the waves well on the run to lead up the final beat with a nice gap on the fleet. The front group closed up at the finish as the wind eased slightly and Allansson started down the run again unaware it was the finish. After a couple of shouts to him, he quickly reversed course and crossed just ahead of Deaves, followed by Roger Blasse (AUS) and Teglers. However, Allansson was one of the black flagged starters, so the victory went to Deaves. Defending world champion Nick Craig (GBR) could only manage fourth as he recovered from a poor first beat. 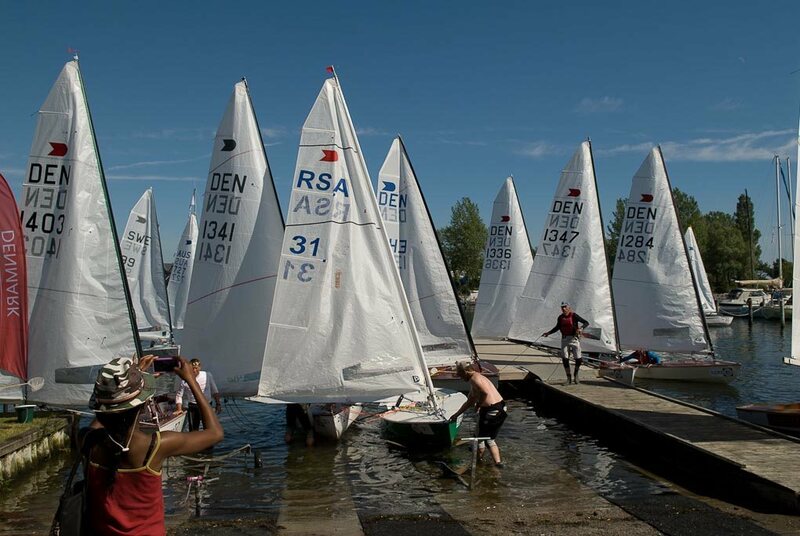 Out of the 146 starters, 68 boats finished the race. Early forecasts for the rest of the week are predicting generally light conditions, but that doesn't dampen the enthusiasm after a hot and sunny opening day. The first two races of the 50th OK Dinghy World Championship are scheduled for 11.00 on Tuesday, with a series of 10 races concluding next Saturday. 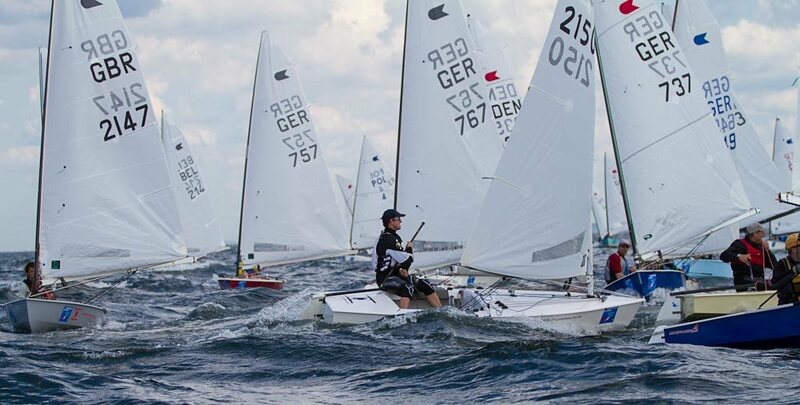 Despite a high scoring day for most of the favourites, André Budzien (GER) is the early leader of the OK Dinghy World Championship in Vallensbæk, Denmark after placing second and third in Tuesday’s two races. 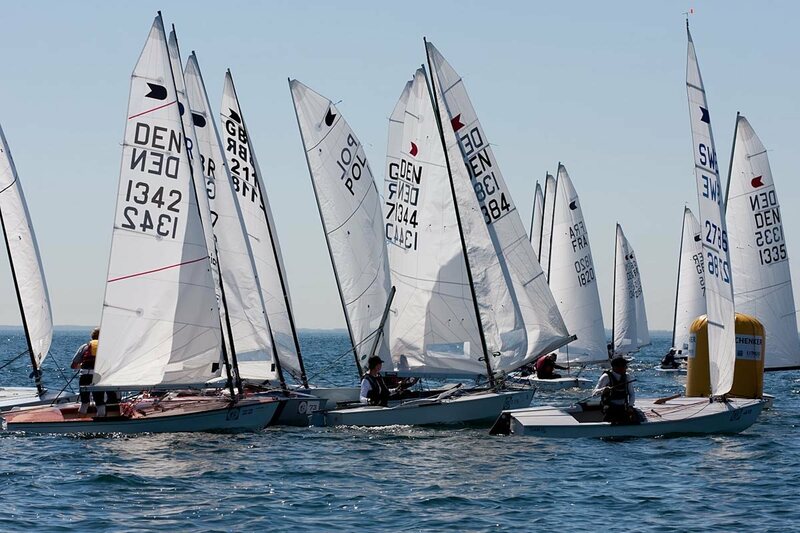 146 OK Dinghies are currently competing for the 50th OK Dinghy World Championship. 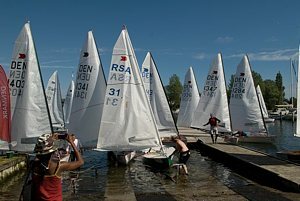 The high temperatures brought the side effect of no wind early in the day and the sailors were held on shore to enjoy the summer conditions while the wind established itself. Race one got under way in 6-8 knots after one general recall under the black flag, which proved costly for the line honours winner. Bo Petersen (DEN) was the early leader and led for much of the race but then missed out the spreader mark at the second windward mark and by the time he has recovered had dropped to fourth. On the final beat the leaders really closed up and the finish was too close to call. In the end Jørgen Lindhardtsen (DEN) crossed first, but he was one of five black flagged at the start, so handing victory to Petersen. André Budzien (GER) crossed in second with Greg Wilcox (NZL) in third. The wind had increased slightly for race two and followed a similar pattern. Mark Jackson (AUS) and Nick Craig (GBR) were the early leaders, but again forgot about the spreader mark on the second lap and lost the lead. Jorgen Svendsen (DEN) took the lead at the gate and led to the finish. Jens Lauge (DEN) crossed in second with Budzien rounding off his great day with a third to lead overnight. Petersen described his race win, “I was fighting with everyone else with the current to go down to the leeward mark. Luckily all the other boats were in chaos and I was able to tack right out of the start. After that I was in a good position all the way except at the second top mark I forgot the spreader mark and ended up fourth. 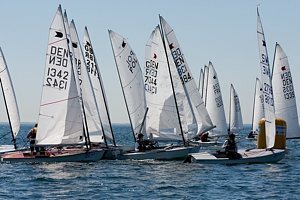 Downwind I was getting closer to the front and the other guys went to the left and I took the right and I went out and I got the lead back." 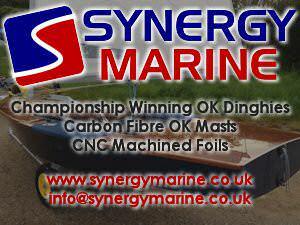 “I have just started in the OK Dinghy. Normally I sail the Contender. Long time ago I sailed 505s and Europes. This is my third regatta in the OK. This event is really perfect so far. Out of the course today, the sun was shining, the water was perfect, the start was perfect. It was amazing out there. The people here are doing a really good job. I expect to meet a lot of new friends and have a perfect week here." Lindhardtsen spoke about his black flag error. “I had some problems with my timing because I didn’t have it exactly but I saw some boats sailing off so I went with them. So that's disappointing. But otherwise it was a good race. 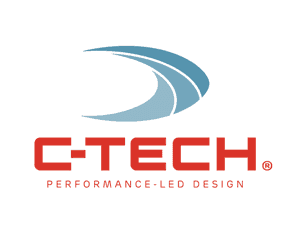 I was happy with my boat speed." 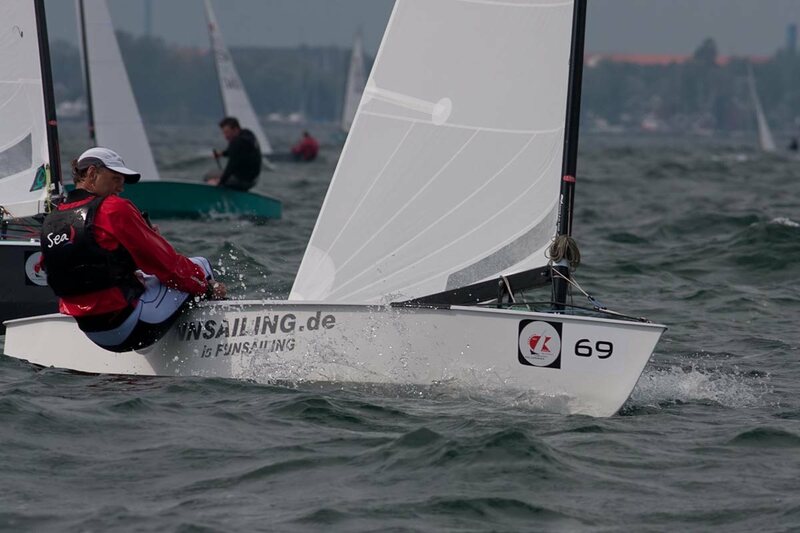 Race two winner Svendsen said, “I had a pretty good start and it was very important to have clear air so I rounded the first mark third and then tried to keep up on the run I got more wind that the others and I rounded the gate in the lead and then it was pretty easy. I had a 50 metre lead and held onto it. It was a pretty good race for me." His expectations. “I hope to end up in the top 10 and get an OK tie. It's been very good conditions so far. We have had a lot of rain here recently and now its changed and the sun is shining. I hope we have a little bit more wind. They promised light wind for the next few days so I hope we get the races in. So let's see." The daily prizes are being presented by past world champions as part of the anniversary celebrations. Tonight Jørgen Lindhardtsen, the 1978 champion, presented the Falmouth Trophy to Bo Petersen and the Ornsjkoldsvik Trophy to Jørgen Svendsen. Racing continues Wednesday with two more races scheduled. The championship concludes on Saturday. A Danish heatwave meant that both the sailors and the wind had a holiday on the second day of the 50th OK Dinghy World Championship in Vallensbæk. After a long delay ashore the fleet was sent out in the early afternoon only to wait afloat while what wind there was died again and were then sent in with no more races on the scorecard. 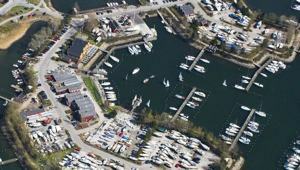 It was a sweltering day in Vallensbæk with temperatures in the high 20s and very little wind early in the day. A postponement held the fleet ashore until around 13.00 when a four knot stable wind encouraged the race officer to send the 145 boat fleet afloat. However by the time the boats arrived on the course area the wind had started to fade away and a further postponement was hoisted afloat. Nearly two hours later the fleet was sent in as the wind was showing no signs of picking up. The forecast for the rest of the week is not great though it is hoped that there will be enough wind in the next three days to be able to make it a championship. The fleet this year includes many old faces, some new faces and some new, old faces. 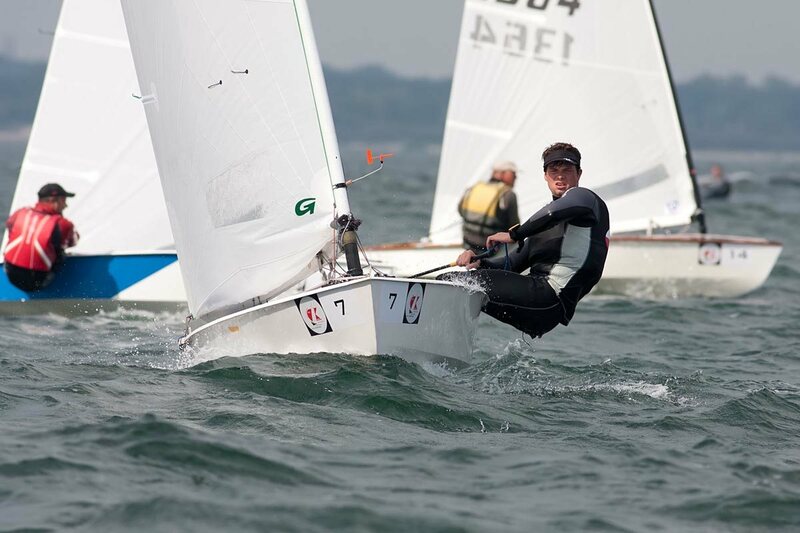 One of the new faces is Björn Allansson (SWE) who is taking a break from his Finn campaign to sail the OK Dinghy, a class that his father sailed for many years in the 1980s, and who is coaching him here. Racing will hopefully continue on Thursday with two more races scheduled, though the forecast is for less wind than today. 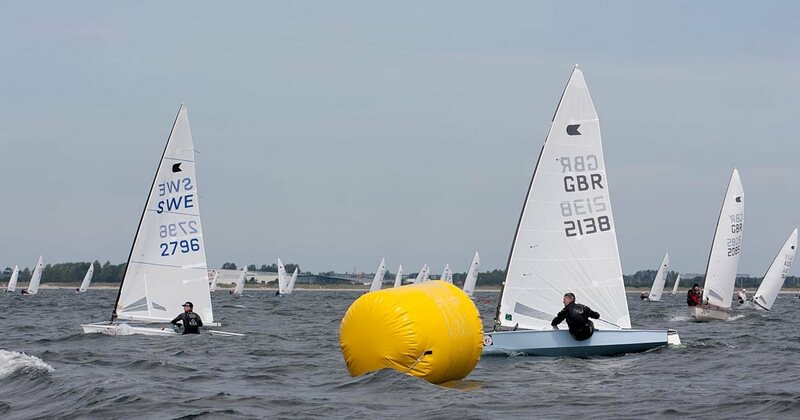 The 145 OK Dinghy sailors at the 2012 World Championship in Vallensbæk, Denmark again had a frustrating day waiting on shore for the breeze to materialise. Eventually the fleet was sent out around 16.30 for one race in very light winds. 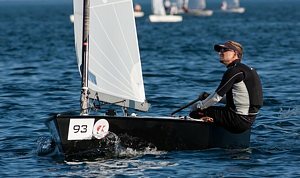 Greg Wilcox (NZL) led at every mark to win the Fisher Cup and take the overall lead after three races. A light breeze did fill in earlier but was not quite strong enough to convince the race officer to send the fleet out so the sailors spent most of the day enjoying the hot weather and basking in the sunshine, passing the time as usefully as possible. Finally at 16.00 a rumour circulated that the AP flag was coming down and soon after the fleet was sent afloat in 5-7 knots offshore breeze. Remarkably the fleet got away first time and while most favoured the right, Greg Wilcox stuck to the left and found the best shift into the top mark to lead round. He extended down the reaches and consolidated on the second beat, though lost some ground on the run as the wind started to fade and become patchy. The final upwind was test of nerves as both sides paid in different measures and the middle was almost calm. Wilcox held on to win from Martin von Zimmerman (GER) and Jørgen Holm (DEN). Andreas Pich (GER) and Jørgen Lindhardtsen (DEN) were fourth and fifth. Both von Zimmerman and Lindhardtsen gained around 70 places each at the end of the first beat that brought the struggling left right up to the top mark while leaving those on the right a bit stranded. 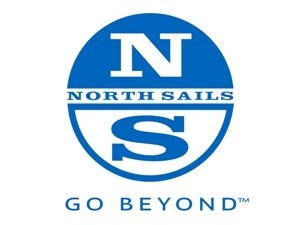 While some are forecasting sailable winds for the next two days, others are forecasting no wind, but the organisers are not getting worried just yet. 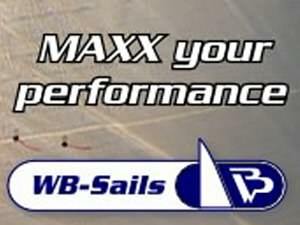 After months of windy, nasty weather, how ironic is it that the weather has changed so completely that we are struggling to get in the required five races for a championship? 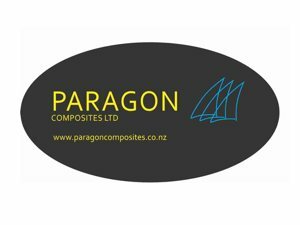 Racing will hopefully continue on Friday with two more races scheduled. The championship concludes on Saturday when the final two races are scheduled. 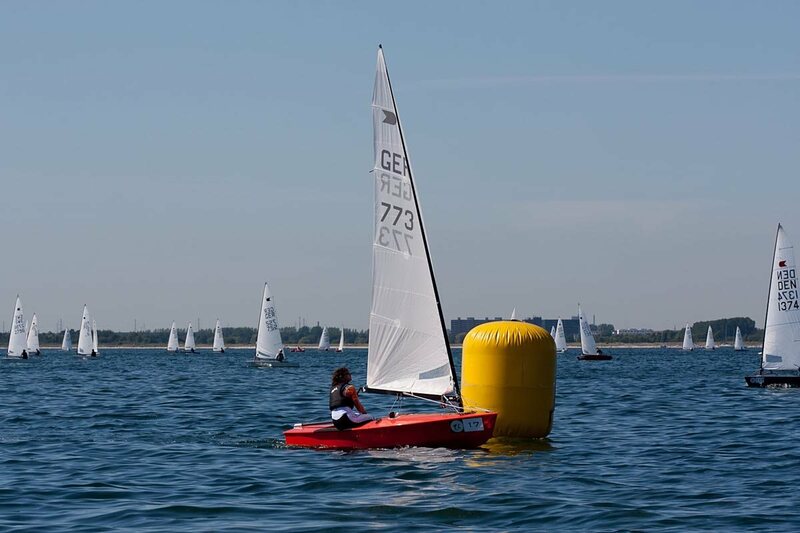 A collective sigh of relief could be heard at Vallensbæk Sailing Club in Denmark tonight as two more races were added to the OK Dinghy World Championship to make it a valid series despite continuing light winds. Greg Wilcox (NZL) continues to lead, but now by just one point, while race wins went to Rüdiger Prinz (GER) and Jørgen Svendsen (DEN). 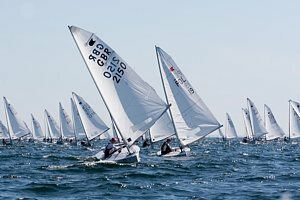 Another early postponement kept the sailors ashore for several hours on Friday morning, and at the first sign of breeze the sailors were sent afloat only to have the breeze fade and a further postponement. However it gradually filled in at a patchy 4-6 knots and race 4 got under way under back flag with nine boats pulled out. 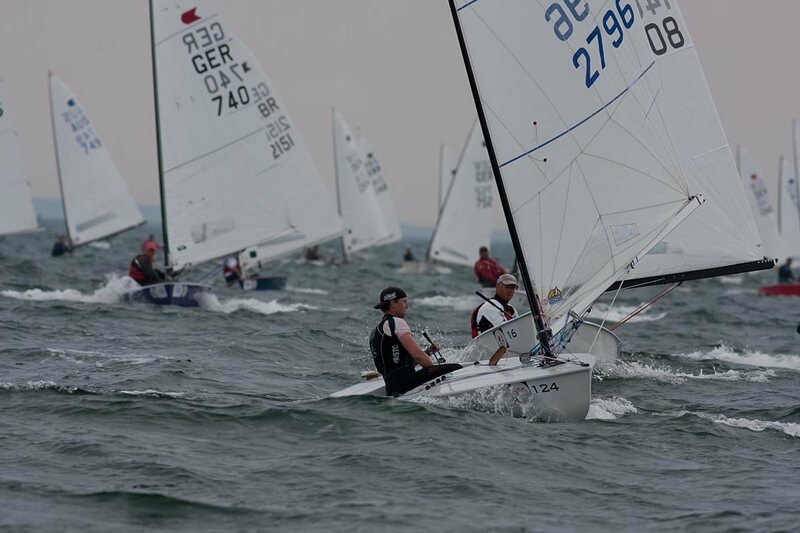 Rüdiger Prinz (GER) found the best way up the first beat in fading winds and a strong current pushing up the course. He made a useful gap on the first reaches and was never really threatened for the lead. Winner of race 1, Bo Petersen (DEN) eventually claimed second while Juliane Hofmann (GER) sailed well to place third, the highest place lady ever in an OK Dinghy World Championship race. During the race the wind almost faded away, making the long runs against the current painful in the pack with the enormous number of sails blanketing most of the fleet. Race five looked doubtful, however the race officer had different information and started the sequence. He was rewarded with the breeze filling in to 8-10 knots and probably the best race so far. Jørgen Svendsen (DEN) rounded the top mark with clear a clear lead and was never headed. Championship leader Greg Wilcox (NZL) followed in second place but couldn't touch the faster Dane. Third place went to Stefan Myralf (DEN), who picked up a 72nd in the first race of the day, highlighting how tricky the racing was. Lots of sailors have been picking up high scores throughout the fleet. Former world champion Roger Blasse (AUS) had an even worse day than yesterday with a 110th in race 4 and a black flag in race 5 to lie in 62nd overall. Another former world champion Mats Caap (SWE) is fairing better and is currently in 10th overall after pacing 16th and fifth today. Meanwhile defending world champion Nick Craig (GBR) is languishing in 11th overall, some 41 points behind Wilcox who retains the overall lead. André Budzien won the 2012 OK Dinghy World Championship in Vallensbaek, Denmark after the final two races were sailed on Saturday. Greg Wilcox took the silver while Thomas Hanssen-Mild took the bronze. The final two races were won by Christian Olesen and Björn Allansson. Despite forecasts of strong winds on the final day, the final day started overcast, damp and windless. Overnight storms had brought heavy rain which tested the integrity of much off the camp site, results in many damp sailors come the morning. The sun soon came out but the wind was not ready yet so AP was hoisted at 9.30 as once again the fleet waited for the elusive Danish wind to appear. But appear it did and at around 13.30 racing got under way in a strengthening southerly that peaked at about 12-14 knots by mid-afternoon. Two fantastic races were sailed in an onshore wind with nice waves developing that was a fitting end to a great anniversary championship. In race six, Günther Arndt (GER) was the early leader from the right but soon Christian Olsesen (DEN) took the lead and held it to the finish with André Budzien crossing in second and Thomas Hansson-Mild in third. 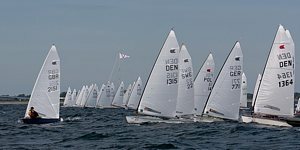 The wind increased slightly for race seven and Björn Allanson (SWE) was finally able to get out in front and he stayed there the whole race taking his first race win in great conditions. Stefan Myralf (DEN) was second while Nick Craig (GBR) produced his best result of the week with a third. This meant that Budzien had taken the OK Dinghy world title at the first attempt, his first ever senior world title, after three Finn World Masters titles. The 2002 champion Wilcox had to settle for silver while the 2009 champion Hansson-Mild took home the bronze. The defending champion Craig, finished fourth and went home with just the OKDIA tie that is given to the top ten overall and the major prize winners. At the prizegiving tonight, André Budzien was presented with the Canada Centennial Cup, the OK Sculpture and a new trophy for this year, presented by Paul Elvstrøm, for the sailor with the lowest points without discard. 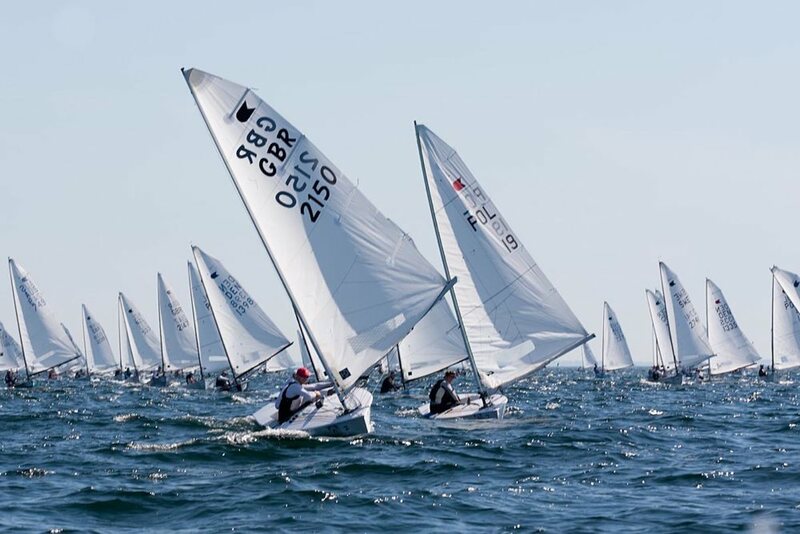 Next year the OK Dinghy World Championship is being held in Pattaya, Thailand, the second time the class has ventured into Asia and early signs are that it will be a very popular venue for the OK fleet.